The World Bank (WB) approved financial support to Tanzania Water Sector Support Project (WSSP) to provide safe water and sanitation facilities for rural and urban residents. 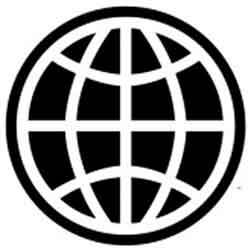 WB committed USD 44.9 million credit from the International Development Association (IDA*). This investment is part of the first phase of the 20-year Tanzania Water Sector Development Project (WSDP) which runs from 2006-2025. This project includes 26,468 new or rehabilitated water points to benefit 6.7 million Tanzanians in rural areas, increase access to 2.8 million urban dwellers, and support to local governments to improve sanitation for 180,000 households, or approximately 900,000 people. According to Philippe Dongier, World Bank Country Director for Tanzania, “The WSSP is providing equitable access to water and sanitation facilities, which are key factors for better health and improved quality of life for poor people in rural and urban communities in Tanzania. After a slow start, implementation of this priority program has significantly accelerated during the last two years. It is now producing impressive results in increasing access to water supply in both rural and urban areas. According to the latest Implementation Status and Results report by WB the budget for the WSSP increased from the original USD 951 million to USD 1,300 million due to the Additional Financing to the Rural Water Supply component mainly from African Development Bank (AfDB) and the UK Department for International Development (DFID). The program is being implemented by the Tanzanian Ministry of Water (MoW); Ministry of Health & Social Welfare (MOHSW); Ministry of Education and Vocational Training (MoEVT); Prime Minister’s Office, Regional Administration and Local Government (PMO-RALG); and other Implementing Agencies (IAs), including 9 Basin Water Offices (BWOs), 19 Urban Water Supply and Sanitation Authorities (UWSAs), Dar es Salaam Water Supply and Sanitation Authority (DAWASA), 109 district and small town utilities, 7 National Projects entities and 132 Local Government Authorities (LGAs).